The importance of sanitation facilities. This important content was only achieved because of the statistics, case studies and workers stories that you all contributed, to strengthen the discussion. We are progressing toward the strongest form of global instrument; a convention supported by a recommendation, with clear support from governments. However, this battle is not over; with all the achieved language up for negotiation and amendment again at the second and final discussion at the ILC June 2019. Employers are actively lobbying governments to weaken the language. Now more than ever, we need trade union national centres and governments the world over to be hearing about the impact of violence in the transport industry, particularly against women workers, if we are to defend what we have secured so far. Violence is still one of the primary factors preventing women being recruited and retained in the workplace, especially in male-dominated sectors like transport. Show why transport workers in your union need an ILO Convention! 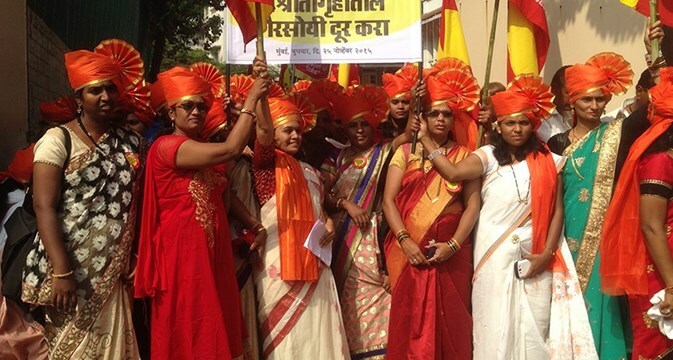 With the #metoo campaign on the rise, we are increasingly hearing stories of women across the globe fighting the stigma and gathering courage to break the silence. Let’s raise our collective voice in solidarity with the global campaign this UN day using this template! Use #ITFWomen #ILOConvention #metoo #ThisIsOurWorldToo hashtags with your social media stories. Please send any updates on your work towards an ILO convention, (please refer to the October circular from Stephen Cotton) to women@itf.org.uk to support our ongoing strategy to win the strongest outcome for transport workers. We will also share your UN Day campaign activity, photos and videos if you share them with women@itf.org.uk between 25 November and 7 December 2018. 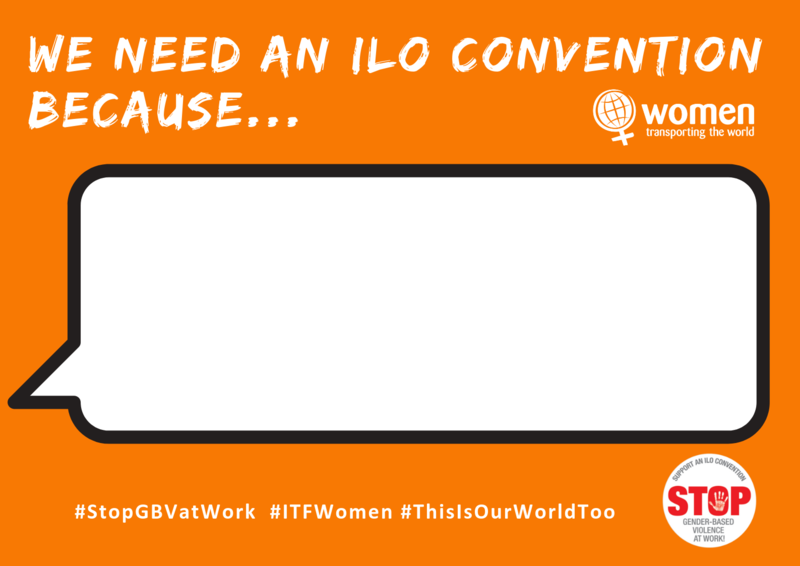 Keep an eye out on our Blog, Facebook and Twitter pages, and the #ITFWomen #ILOConvention #metoo #ThisIsOurWorldToo hashtag, for sharable content to support our campaign for an ILO convention. Use #ITFWomen #ILOConvention #metoo #ThisIsOurWorldToo hashtags with your social media stories. With the #metoo campaign on the rise, we are increasingly hearing stories of women across the globe fighting the stigma and gathering courage to break the silence. Let’s raise our collective voice in solidarity with the global campaign this UN day using the template below! Let’s raise our collective voice in solidarity with the global campaign this UN day.